As wines have to be marketed more as brands in the US than in Europe, there are numerous colorful and funky labels to be found on the shelves. I spotted this one at a Whole Foods Store in Fort Lauderdale. 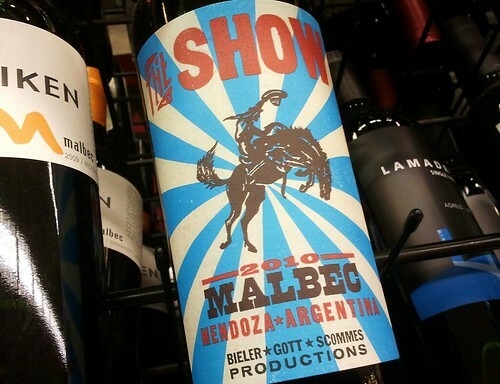 Is it suggesting a funky rodeo-style Malbec? At least it reminds me that I have to drink a few more Malbecs soon.